I dream a little dream every day. My dreams do not consist of me running in a field of daffodils holding hands with my pure-as-virgin-snow fiancé. There is no discussion of curtain rods and where to hang the menacing portrait of her father in our bedroom so he can watch us “make grandchildren”. That is another man’s dream that I find boringly obscene. My dreams are of the social derelict variety. They are filled with morally questionable fluids that get all over the bed, walls and playtime companions’ faces. The soundtrack consists of gasps, moans, and cracks from my flat hand connecting with firm backsides. You could hook my brain up to your DVR and I’d single-handedly put Skinemax out of business. My lawyers are already in discussion with Time Warner, but it comes down how many private islands I will receive stocked with island girls…coming soon to a living room near you. Perverted as I am, I’m also a glutton in my dreams. 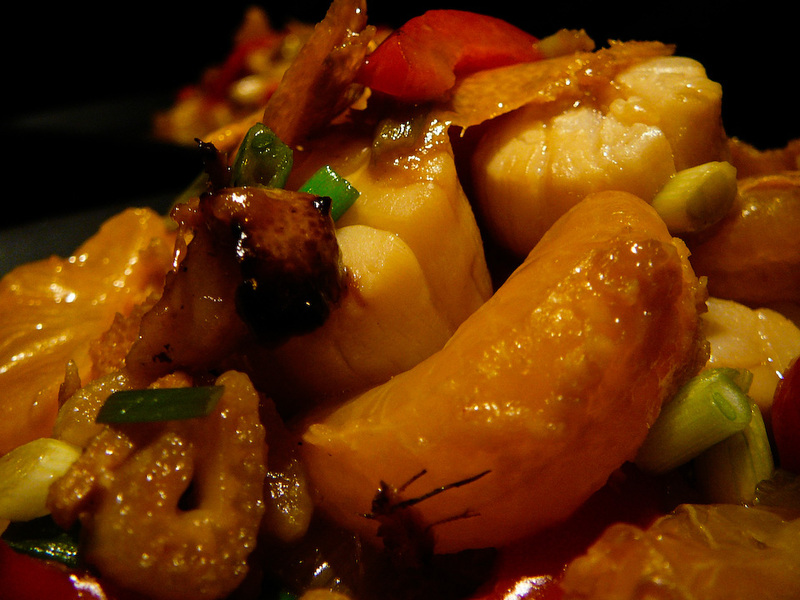 And this Chinese style scallop recipe came out of one such decadent dream. Enjoy my nocturnal emissions on your plate! 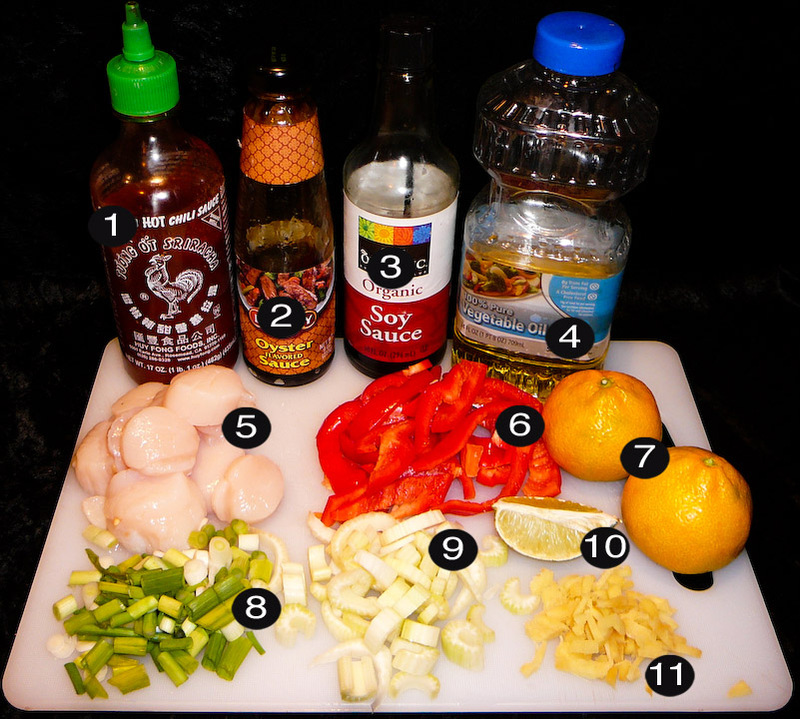 Marinate the scallops in limejuice and soy sauce. Zest the tangerine skin, peel and separate the wedges. 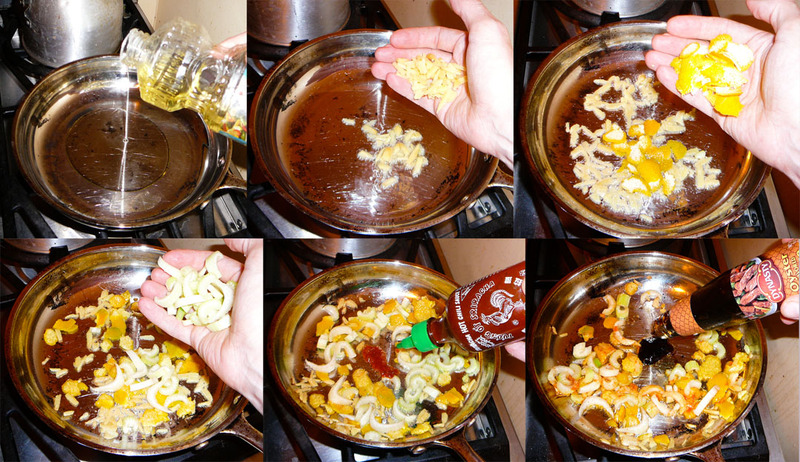 Sauté the ginger, tangerine zest and celery with the vegetable oil, Sriracha chili sauce and oyster sauce. Add the red bell pepper and tangerine wedges and cook until they soften (approx 3 min). Add the scallops and cook through, flipping once (approx 4 min). Turn off the heat and garnish with green onions. 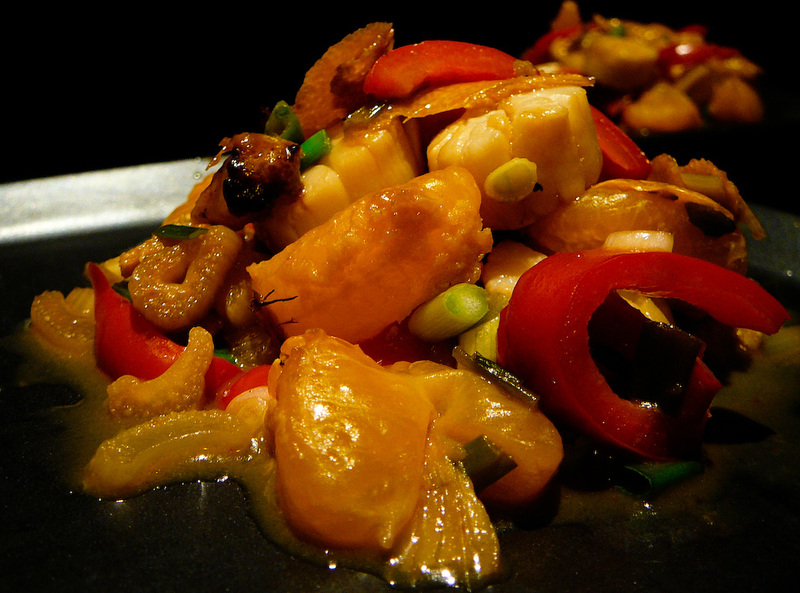 Serve this bad boy with some white rice or any combination of CTB certified RICE or NOODLE dishes.